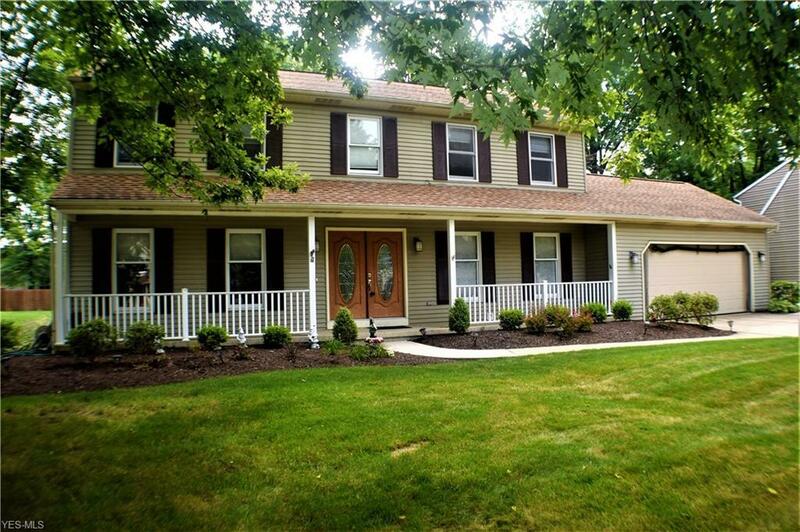 Impeccable Original Owner Colonial Home with Tons of recent Updates! Attractive Neutral DÃ©cor! Gorgeous Large Eat-In Kitchen recently Remodeled with Lots of Cabinet and Granite Counter Space! Beautiful Maple Cabinets, Tile Backsplash, SS Appliances 2013 and more! Huge Great Room with a Vaulted Ceiling, Lots of Windows and Slider to Custom Paver Patio with Outdoor Fireplace/Grill! Plus, a Family Room with a Fireplace and Bar! Formal Dining Room! First Floor Laundry! Stunning Master Suite with a Walk-In Closet and recently updated Master Bath with a Skylight, Walk-In Tiled Shower, Double Bowl Vanity with Granite Top plus a Porcelain Tile Floor! Wonderful Finished Basement with a Rec Room, Custom Built Bar, Built-In Pub area and Glass Block Windows! Front Porch! Extra clean attached garage with epoxy finished floor, Built-In cabinets and a service door to the backyard! Newer Roof, HVAC, Hot Water Tank, Paint, Carpet, Appliances and much more! Private large backyard with a Shed and a magnificent patio for entertaining! Convenient location! Seller is offering a Home Warranty!